We had such a nice time staying in your flat! It was perfect and in a great location to catch the tube. The street was quiet and our vacation there couldn't have been more perfect! This was a beautiful and very clean flat in a great neighborhood. The tube station was close as were supermarkets and pubs/restaurants. Very quiet location and all you need is right there. The host/owner Jacqueline was there to greet me. She was very kind, hospitable and accommodating. I highly recommend this apartment and will be booking again. Darius was a great guest! Jacqueline was lovely. Although due to trains and traffic we were late, she was understanding of this and it didn't change how she interacted with us. The apartment is very beautiful and VERY clean. The apartment is located in a building and it is very quiet. Overall, it was great! If you are looking for a longterm stay or a short term stay it is perfect! My only suggestion would be to have two towels for drying off after the shower, there was only one and a hand towel, but this isn't a deal breaker! The apartement is really great and Jacquie is a wonderful host. The apartment has everything you need and is really comfortable. It is located in a quiet neighborhood, but everything is close by (tube, bus station, grocery store, restaurants, pubs). We enjoyed our stay and can highly recommend the apartment. Britta & her husband were the perfect guests. Clean and tidy... come back anytime! Truly stunning apartment in the perfect location from which to explore Central London. 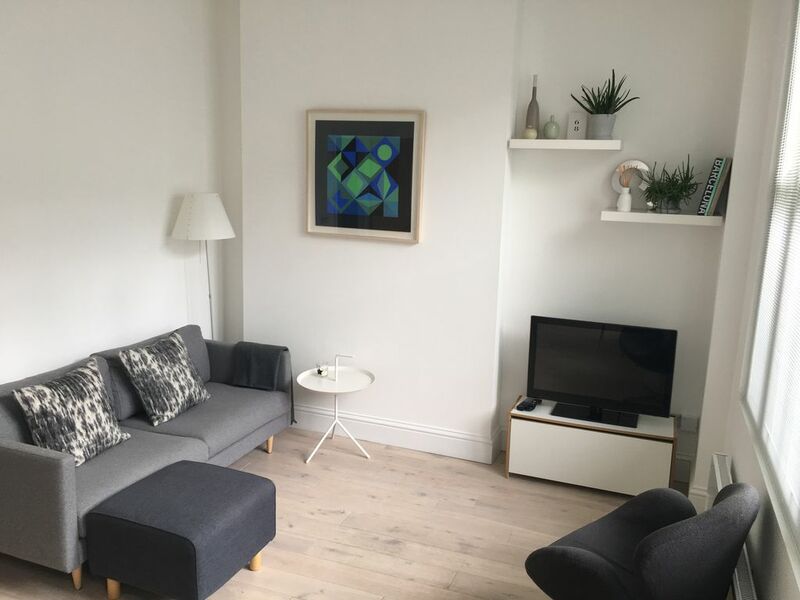 The apartment is absolutely immaculate, tastefully furnished with high end finish (it has only recently been completely refurbished). It has everything you could possibly want and Jacquie couldn't have been more helpful. The apartment is very close to great bars, restaurants and public transport links. Can't recommend this apartment highly enough.